Deeply layered, smoky undertone of earthy oakmoss, reminiscent of a dark, rich bourbon. Soft hint of lavender subtly compliments the peaty headiness, conjuring up a thirst for leather and whiskey. Suggested Usage: Shake gently before each use. Pour desired amount into palm and rub hands together for even distribution. 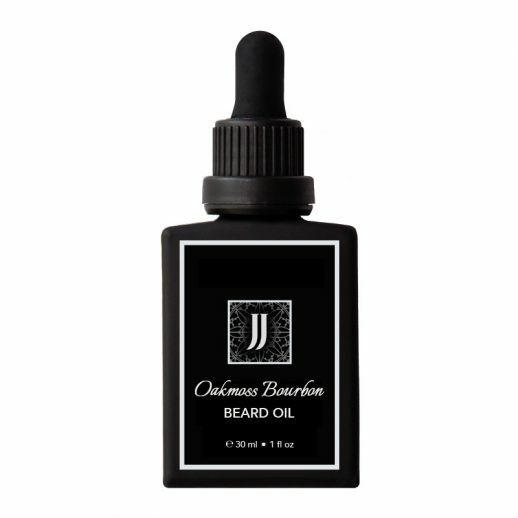 Work the oil into the skin, then out to the ends of your beard. Use fingertips to coat mustache hairs. Run comb or brush through beard to tame hair and evenly distribute oil.